AP/TS SBTET Diploma Online Fee Payment Procedure: Here we have discussed about State board of technical education and training andhra pradesh and telangana diploma online fee payment for regular/Supply exams, condonation, certificate, promotion fee details. SBTET-AP MAR/APR-2019 LAST DATE FOR FEE PAYMENT WITHOUT PENALTY IS EXTENDED UP TO 06-03-2019, WITH PENALTY IS EXTENDED UP TO 08-03-2019, WITH TATKAL IS EXTENDED UP TO 10-03-2019. 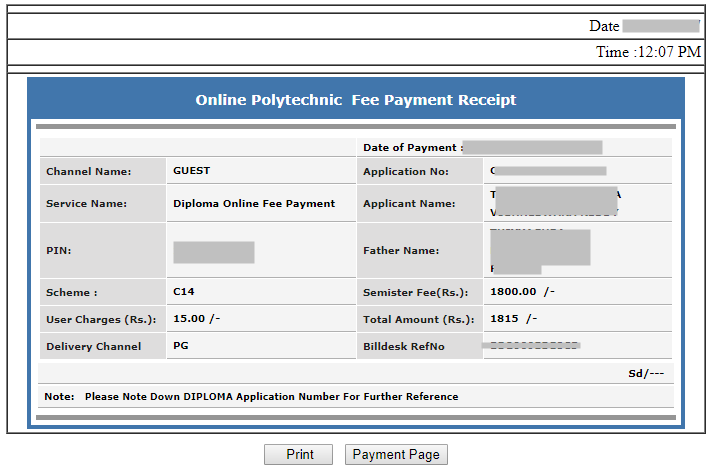 The url for online fee payment module is http://apsbtet.net/dofpportal for the students studying in the Polytechnics pertaining to Andhra Pradesh. 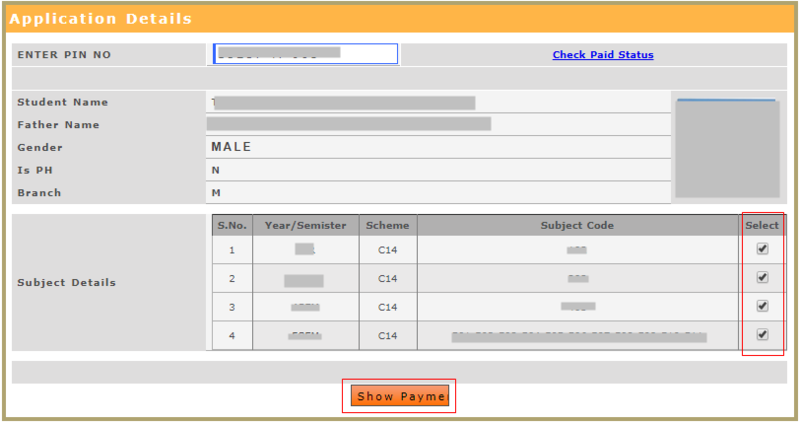 The url for online fee payment module is https://ousbtet.net/DOFPPORTAL/UI/mainhome.aspx for the students studying in the Polytechnics pertaining to Telangana. 1. Click on the link – Application / Condonation fee / Certificate fee / Promotion fee. 4. 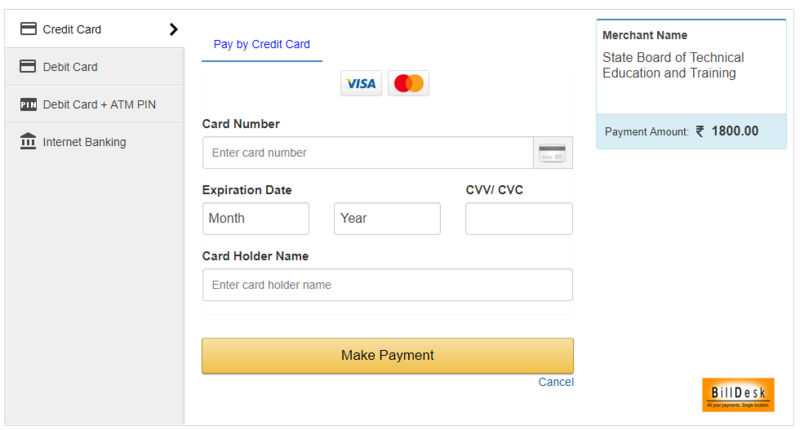 Select the appropriate selection as per your requirement and click on show payme button. 9. Once the payment is confirmed. a receipt will be generated with the payment details. 10. Take Print out for further reference.